While over recent years Pixar have greenlit sequels left, right and centre, their colleagues in Walt Disney Animation Studios have been (perhaps surprisingly) a bit more restrained. It's true that sequels to Wreck It Ralph and Frozen are in the works, but we're not going to be seeing either for quite some time. 2014's Big Hero 6 was essentially a superhero origin story at heart so talk of a sequel was always going to be on the table. Despite the film's success, however, it seems that no big-screen Big Hero 6 sequel is forthcoming anytime soon. Disney have announced that Big Hero 6 will receive a continuation on TV instead. The Big Hero 6 series is already in production will debut on Disney XD sometime in 2017. The plot will pick up after the events of the movie, with Hiro now a student at the San Fransokyo Institute of Technology. The show will reunite several key members of Disney's Kim Possible series, with creators Mark McCorkle and Bob Schooley on board as executive producers and Nick Filippi as supervising director. The announcement does not confirm if the new series will be CG, or if it might switch to 2D for the small screen. The latter could certainly be interesting, as it could pay homage to its routes as a Marvel comic, while avoiding direct comparisons with its big-screen parent. While this announcement is no way rules out the fact that a movie sequel may well still happen, a TV series seems like a good fit to continue this story. Now the titular team are established as heroes, it should be fun to see where they go next. And more Baymax can only be a good thing, surely? 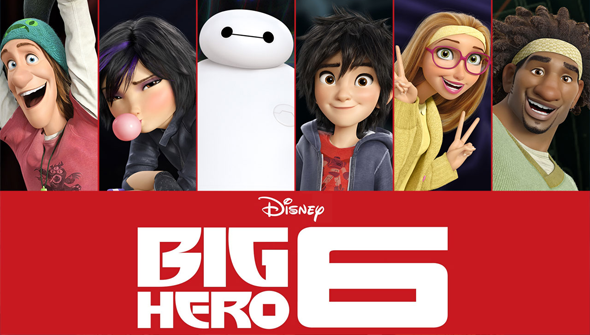 Are you excited for more Big Hero 6? Let us know in the comments or via our social media channels!